This little car was crammed into a garage. There was no getting round to the back-end of the car to see what the make or model might be. So I am just calling it my Oxford Motor for my fourth week of Black and White Photo Challenge! Anyone know what this car is? 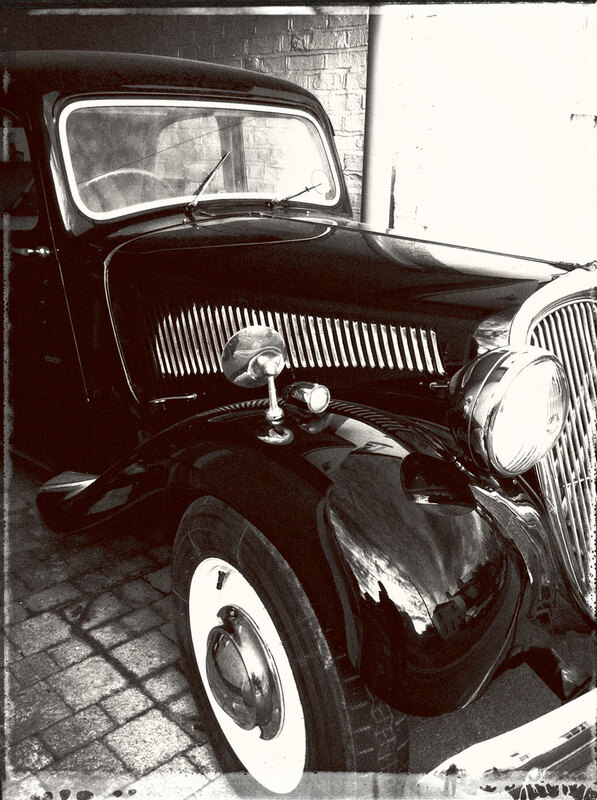 Gallery | This entry was posted in Black and White Photography Challenge and tagged Black and White photography, England, Morris Garage, Old Cars, Old Motor Cars, Oxford. Bookmark the permalink. I just love this little motor! You may be spot on with the 1935 Morris Oxford!